Did you read here recently that the Teletubbies have teamed up with Barnardo’s – From May 2017, shoppers will be able to buy special Tinky Winky, Dipsy, Laa-Laa and Po limited edition merchandise from Barnardo’s shops across the UK to help support disadvantaged children in the UK. As active supporters of Barnardo’s and with little fans of the Teletubbies in the house, we think this is a perfect match. The Teletubbies, who are celebrating 20 years of big hugs in 2017 have a new DVD coming out this month. 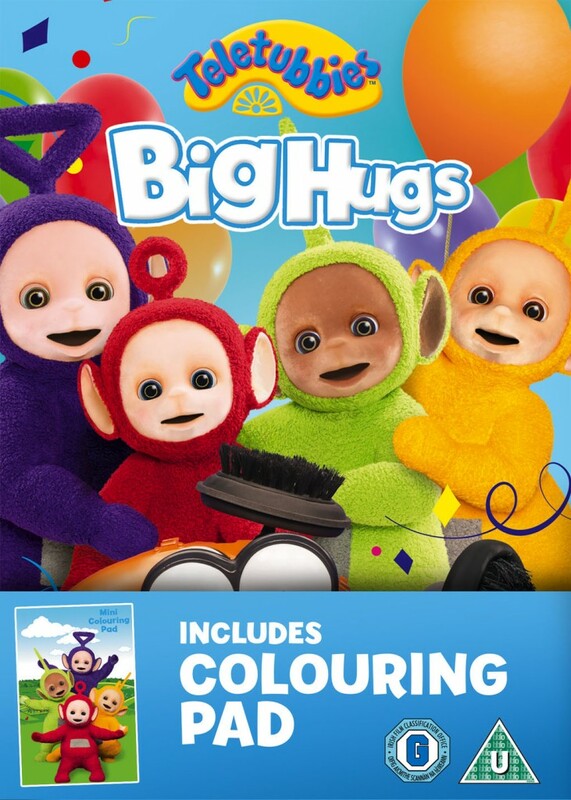 Teletubbies: Big Hugs is released on DVD next Monday 16th January. The Teletubbies love making new friends and they love big hugs! Join Tinky Winky, Dipsy, Laa-Laa and Po as they splash in puddles, ride the Custard Machine and watch Tummy Tales. Are your little ones fans of the Teletubbies? If so you can order your copy here. With over an hour of fun, any little Teletubbies fans won’t be disappointed. I’ll have to look out for the limited edition merchandise at our local Barnardos. Thanks for the heads up!